Sativa with fish? Indica with steak? Or is it the other way around? 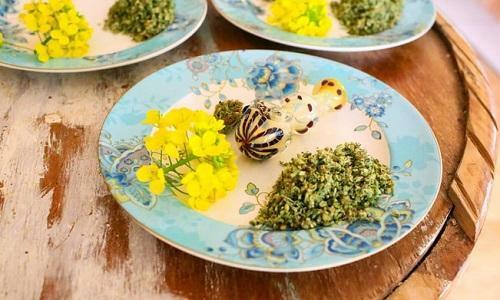 Welcome to the world of pairing strains of marijuana with specific foods to enhance their flavor – the hot trend in states where marijuana is legal. This is not like eating food cooked with cannabis, which people have been doing at least since Gertrude Stein and Alice B. Toklas served their guests in Paris hashish fudge.